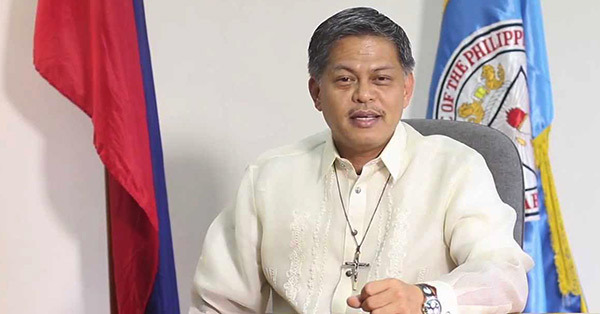 Here's the full text of the 2016 graduation message of Secretary Armin Luistro of the Department of Education (DepEd). Please read and share! "Congratulations to our dear graduates for reaching this significant milestone in your lives. Let this achievement also be generously shared among school administrators and personnel, teachers, and parents who have given a part of themselves to ensure this success for our young learners. This day holds more significance because it comes at a time when the Philippine education system is undergoing the biggest education reform in the country, the K to 12 Program. With its full implementation come June 2016, we send you off to another journey of your lives—with our hearts filled with hope that we have given you the quality education you deserve, one that is inclusive, relevant and holistic. This year’s theme “Kabataang Mula sa K to 12, Tagapagdala ng Kaunlaran sa Bansang Pilipinas” reminds us of the youth’s role in building a nation every Filipino deserves. The future will always have a place for people who forge ahead with purpose and a keen intent to serve. In diversity, find opportunities to reach out and build bridges; in difficulty, the chance to be altruistic; and in challenges, reasons to learn and rise to the occasion. Our country needs graduates who will commit to uphold and enhance the best of what it has to offer—citizens who are as patriotic as they are competent, highly-skilled and innovative. Dear graduates, education is a continuing journey towards self-actualization. The world outside the four corners of your classroom is filled with possibilities and challenges, and they are waiting for you. As you move closer to your aspirations, let your moments of victory serve as an inspiration for others and your moments of defeat be your motivation to work harder and to do more not only for yourself but also for our fellow Filipinos. For us in the schools, may this theme remind us of the core reason of our vocation: to mold young minds into citizens who have a heart for service and a dream for the Filipino nation. Patuloy tayong magsama-sama para sa edukasyon."